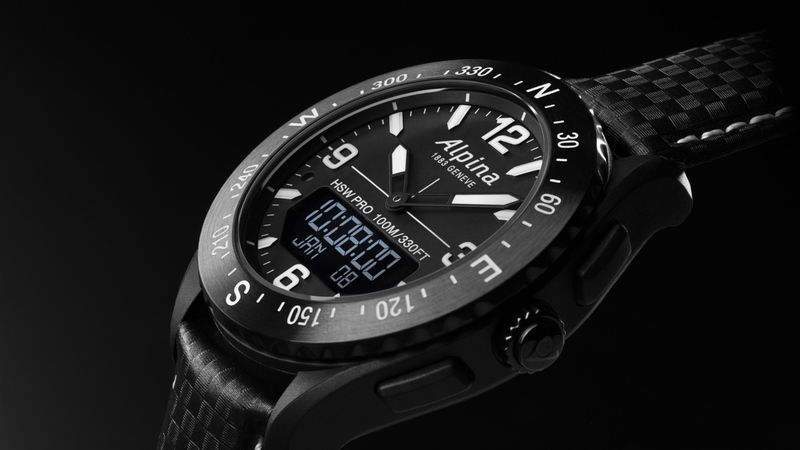 Alpina has announced an update to its AlpinerX hybrid smartwatch at Baselworld, with the designs inspired by the Kickstarter community. After finding success with the AlpinerX through the crowdfunding platform last year, the Swiss watchmaker is now launching four new watches for 2019 that have been designed by backers. Those involved were able to submit their favorites from a group of over 11,000 potential styles, with the most successful four making the cut. Read this: What does the future of hybrid smartwatches look like? Like the 2018 AlpinerX, the company notes that an array of sensors are on board the outdoor watch in order to help track UV levels, temperature, altitude, pressure and north direction. There's now a heart rate monitor on board, too, for those who want that extra hit of biometric data from the watch. Some of this information can be viewed on the small LCD screen - which also can show basic activity tracking info and notifications - and users can still link their iPhone or Android smartphone to the AlpinerX companion app. Speaking of the app - the company notes that it's been revamped for the new watches, with user information now displayed more clearly and their data analyzed in real-time in order to give feedback and suggestions for improvement. Alpina haven't yet provided size specs for any of the new AlpinerX models, though does note that each case is made from glass fiber with a steel back. As the image above also indicates, the straps will range from a sporty-looking silicon to a more formal leather option. Those four not to your taste? You're a skier? Well, there's even a limited edition model that's been developed alongside the Freeride World Tour for you to consider, too. Alpina will be selling the 2019 AlpinerX models for 895 CHF, which translates to roughly $900. Wareable is currently doing laps of the show floor at Baselworld, so look out for our hands on impressions of the new watches ahead of a full review when we get our hands on it for a bit longer.